The government has agreed to implement all 14 recommendations from a taskforce commissioned to explore how access to apprenticeships can be improved for people with learning difficulties or disabilities (LDD). 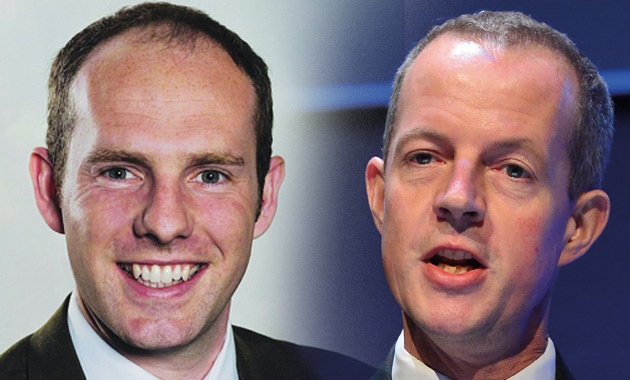 The taskforce was jointly commissioned by skills minister Nick Boles and minister for the disabled Justin Tomlinson (both pictured above), and both of their departments are now working to put the suggestions into practice. Chaired by Paul Maynard MP for Blackpool North and Cleveleys, the group included disability organisations, learning providers, employers, and senior officials from both the Department for Business, Innovation and Skills (BIS) and the Department for Work and Pensions (DWP). In response to their 14 recommendations, a BIS and DWP spokesperson said: “The Minister for Skills and the Minister for Disabled People have accepted all of the taskforce’s recommendations. The taskforce met three times to look at what barriers affect people with learning disabilities in accessing and completing an apprenticeship. BIS and DWP confirmed that the first point to be implemented will be updating the Access to Work eligibility letter, which disabled people should take to their employer or a job interview if they think they can get help from the government’s Access to Work scheme. The idea will be to better “sell the support available” for such apprentices. This will be followed by work on a joint communications strategy to encourage employers and providers to take them on. The next recommendations to receive attention will be using the existing Disability Confident campaign “to encourage employers to drive demand and increase supply”, and consider “the use of technology to support user-led strategies for apprentices with LDD”. BIS and DWP will be expected to “lead by example” with their own apprenticeship programmes, and “encourage wider civil service and public sector commitment to [these] apprenticeships”. Three of the taskforce recommendations focused on English and maths, and these will be worked on over the summer. They involve adjusting the minimum standards and methods of assessment for English and maths for LDD apprentices, and ensuring support available is “understood and consistently applied by providers”. In the autumn, the government will turn to ensuring that the right information is gathered about severe, mild or moderate learning difficulties for Individualised Learner Records. 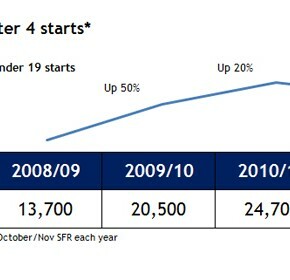 BIS will also revisit recommendations from the 2012 Little report on ‘Creating an Inclusive Apprenticeship Offer’. Both departments will further consider “what good [performance of apprentices] looks like” for specific impairment groups and age brackets, and “set appropriate targets for increasing the number of apprentices with LDD”. From April 2017, after a new funding model has been developed, a pilot will be conducted to explore how this could work most effectively alongside the apprenticeship levy to “incentivise employers to recruit apprentices with learning disabilities”. Sue Pember, director of policy for adult and community learning provider membership body Holex, which supported the taskforce, told FE Week that she “welcomes these recommendations and hopes that they are fully implemented and feature in the apprenticeship plan”. I would like to see the detail for this supposed ‘joint communication strategy’ to encourage employers to take up apprentices with LDD.